Ilsan, South Korea (CNN) — The leaders of North and South Korea have committed themselves to the complete denuclearization of the Korean Peninsula and pledged to bring a formal end to the Korean War, 65 years after hostilities ceased. In a remarkable day-long summit that weighed heavy with symbolism, South Korean President Moon Jae-in and his North Korean counterpart, Kim Jong Un embraced, planted a tree and talked alone for more than 30 minutes. 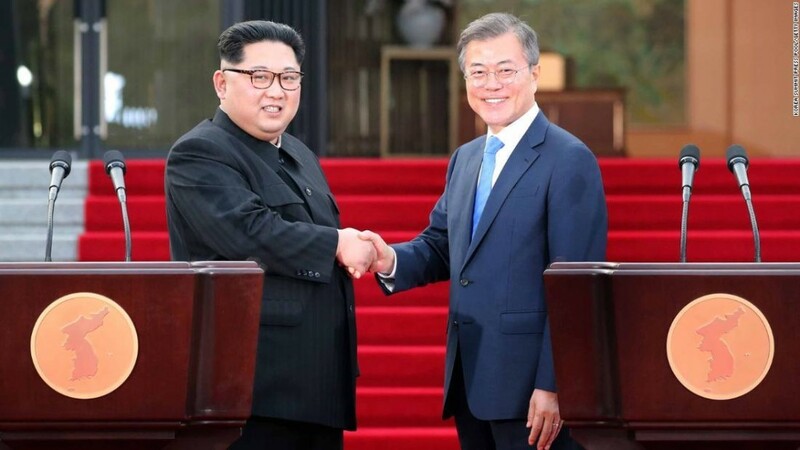 Then they signed the Panmunjom Declaration for Peace, Prosperity and Unification on the Korean Peninsula, which commits the two countries to denuclearization and talks to bring a formal end to conflict. It was a startling conclusion to the first meeting between leaders of the two countries in 10 years. But behind all the ceremony, at the Panmunjom “peace village” in the Demilitarized Zone (DMZ) that separates North and South Korea, there were few concrete details. The Panmunjom Declaration largely steered clear of specifics regarding Pyongyang’s nuclear capabilities, and did not set out what North Korea would expect to get in exchange for denuclearization. The pledge to end the Korean war faces major hurdles — any final peace deal must also involve China and the US, both of whom were participants in the original conflict that began in 1950 when the North Korean People’s Army invaded the South. Although an armistice was signed in 1953, no formal peace treaty was ever concluded, and technically, the peninsula remains at war.